Published October 22, 2015 at 631 × 456 in Reclaiming spaces at Canada’s History Forum and the 2015 Governor General’s History Awards. 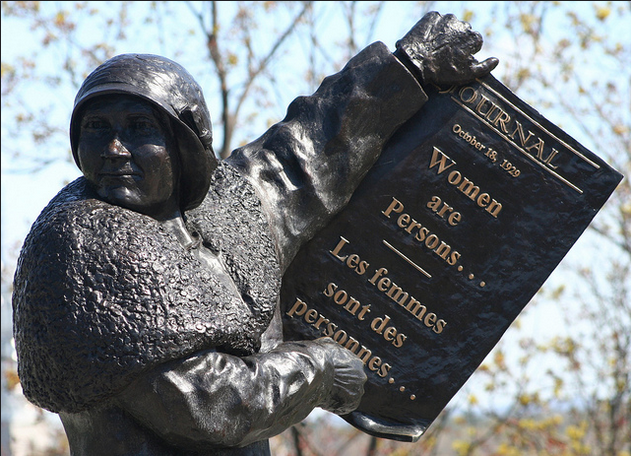 Nellie McClung from the monument on Parliament Hill, showing historic newspaper headlines from the Persons Case. Photo: “Les Girls” – The Famous Five 10 by Douglas Sprott, CC BY NC 2.0.